An NDP source said Wednesday that Erin Selby will announce later this week that she is seeking the party nomination in the riding of St. Boniface-St. Vital. WINNIPEG — A former Manitoba cabinet minister who questioned Premier Greg Selinger's leadership plans to resign her provincial seat and run for the federal New Democrats in the Oct. 19 election. 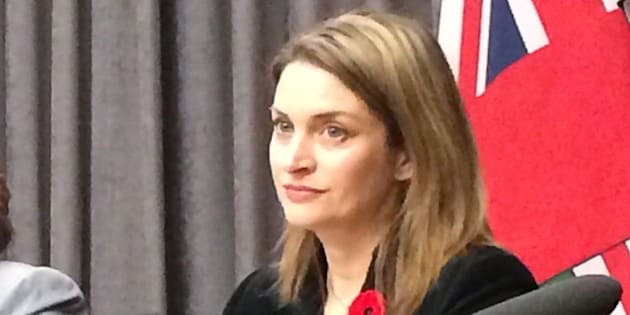 An NDP source said Wednesday that Erin Selby will announce later this week that she is seeking the party nomination in the riding of St. Boniface-St. Vital — a part of Winnipeg where the NDP has so far fared poorly. Selby declined an interview request and wrote in an email that she would have more to say Thursday. Selby said last month that she was eyeing the move after a leadership crisis left the Manitoba NDP government divided. She was the province's health minister until last fall, when she and four other senior ministers called on Selinger to resign to help the NDP win the next election in 2016. The rebellion prompted a leadership race and Selby and her cohorts stepped down from cabinet. Selinger survived the revolt at a party convention in March by a razor-thin 33 votes. If Selby wins the St. Boniface-St. Vital nomination, she will face an uphill battle. The NDP have traditionally finished a distant third in the riding, which was a longtime Liberal bastion. The Liberals have put up Dan Vandal, a popular former city councillor. The Conservatives have held the seat since 2008, but incumbent Shelly Glover is not seeking re-election. Selby, whose provincial constituency of Southdale forms part of the federal riding, would have to more than double the NDP's 16 per cent share of the vote in 2011 in order to win. A date for the NDP nomination vote has not been set. At least two of the other ministers who challenged Selinger have decided to run again in the provincial election slated for April. Former justice minister Andrew Swan and former finance minister Jennifer Howard have been nominated in their constituencies. Former municipalities minister Stan Struthers has announced he is retiring from politics. Theresa Oswald, the one-time jobs and economy minister who finished a close second to Selinger in the leadership vote, has not yet announced whether she will run again.